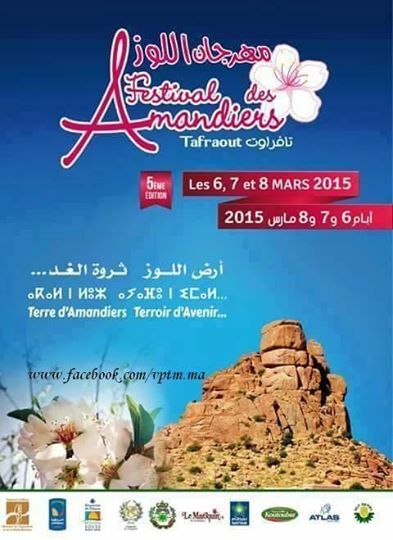 Welcome to the TWIKE MAROC TEST RIDE Almond Festival in Tafraout. The spectacular Almond Tree Festival is not only an important event for the local community but also one that attracts visitors from all over Morocco and the rest of the world who come to marvel at the natural beauty of the blossoming almond trees, and to enjoy the wide range of festivities that take place at this ever growing and popular event. 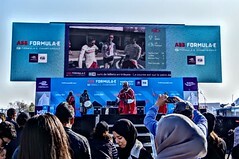 Within the almond producing town of Tafraoute, nestled amongst the Atlas Mountains and close to Agadir the event takes place, and is staged inside the site of old Roman ruins. During the day, the stage framed by blossoming almond trees creates a calm and tranquil atmosphere. When it becomes dark, the ruins are lit by stage lights creating an impression that can be seen throughout the countryside. Festival excitement grows as musicians and dancers weave their way through the crowds, while the ancient Moroccan tradition of storytelling mesmerizes with tales that have been passed down through centuries and are still spellbinding today. The festival includes a large souk which bustles to life selling a wide range of products which of course includes several almond products. The timing of simply hundreds of almond trees in bloom displaying wonderful pink, white and red petals is an incredibly photogenic opportunity and easy to see why so many people return each year to witness this vibrant spectacle. You can be your own pilot or try out the TWIKE Feeling as a co-pilot. In case you want to be your own Pilot and you don’t have yet a TWIKE Pilot Card, you have to complete first a Pilot Training. This takes you about 2 hours. You can do it before the excursion or on friday morning before starting.